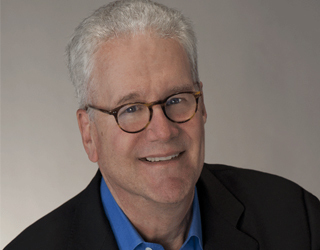 Geoffrey Moore is Managing Director, Geoffrey Moore Consulting; a venture partner with Mohr Davidow Ventures, Chairman Emeritus, TCG Advisors, The Chasm Institute and The Chasm Group; and a member of the Board of Directors, Akamai Technologies and several pre-IPO Companies. He is also an author, speaker and business advisor to many of the leading companies in the high-tech sector, including Aruba, Box, Cisco, Cognizant, Intel, Microsoft, Rackspace, SAP, and Salesforce. Geoff divides his time between consulting on strategy and transformation challenges with senior executives and speaking internationally on those same topics. His latest release, Crossing the Chasm: Marketing and Selling Disruptive Products to Mainstream Customers (Third Edition), brings Moore’s classic work on marketing disruptive innovations up to date with dozens of new examples of successes and failures, new strategies for marketing in the digital world, and Moore’s most current insights and findings. Geoff has written numerous other books including Escape from Velocity: Free Your Company’s Future from the Pull of the Past (2011), his sixth, for business leaders in the high-tech sector looking to reinvigorate their established franchises with next-generation lines of business. He is also an active public speaker who gives between 30 and 60 speeches per year, addressing a spectrum of topics including high-tech market dynamics, business strategies, innovation, organizational development, and industry futures. His other published works include Inside the Tornado: Marketing Strategies from Silicon Valley’s Cutting Edge (1995), The Gorilla Game: Picking Winners in High Technology (1999), Living on the Fault Line, Revised Edition: Managing for Shareholder Value in Any Economy (2002), and Dealing with Darwin: How Great Companies Innovate at Every Phase of Their Evolution (2008). Morris: When and why did you decide to have a third edition of Crossing the Chasm? What new material do you provide in it? Moore: I was getting feedback from entrepreneurship classes that, while the theory of crossing the chasm was as applicable as ever, the examples in the book were out of date. So this new third edition has all new examples from the past ten years, featuring companies like Salesforce, VMware, Box, Aruba, Rackspace, Lithium, Rocket Fuel, Infusionsoft, and the like. Moore: I think the biggest change in the past decade has been the explosion of consumer computing, completely transforming our culture from end to end, and more recently, the transformation of enterprise computing as it seeks to integrate social, mobile, analytics, and cloud technologies into its legacy architectures. This led me to include a new appendix to the book focused on consumer adoption of technology, something that plays out sufficiently differently from the chasm model to require its own framework, which we called the Four Gears. Morris: To what extent (if any) does the book in final form differ significantly from what you originally envisioned for the third edition? Moore: I worked very hard not to change the argument of the book itself, only the examples and references. But the chapter on Distribution and Pricing simply would not admit of that approach, given how dramatically the consumer side of things has changed. Other than that chapter, however, people will encounter the same frameworks as in the original edition because they have held up surprisingly well over the years. Morris: To what extent do you develop in much greater depth insights shared in the previous editions? Moore: This was not my intent. Rather, each of my books has sought to build on the frameworks of the prior books, a kind of “backward compatibility” approach that seeks to maintain coherence across a set of models as it builds outwards to address a broader landscape. Thus Inside the Tornado took the Technology Adoption Life Cycle beyond the chasm all the way through to its conclusion. It was followed by The Gorilla Game which applied these ideas to an approach to high-tech investing. That was followed by Living on the Fault Line, which applied ideas from the Gorilla Game to the general idea of managing for shareholder value. Then Dealing with Darwin took on the challenges established franchises have with getting a good return on innovation, and the most recent book, Escape Velocity, extended that work to address how best to onboard and integrate a next-generation line of business into an established franchise. The thread that runs through all these books is the market dynamics that underlie the introduction of disruptive innovations into any community of customers and suppliers. Morris: To what extent is material in the new edition of Chasm entirely new? Please explain. Moore: The appendix on the Four Gears is entirely new. It is about how markets develop when the technology is not disruptive to the consumer but the business model is hugely disruptive to the status quo. It focuses on four stages of adoption, or “gears,” which we call Acquire, Engage, Convert, and Enlist. The idea behind the model is that you need to get all four gears spinning in unison to create a self-reinforcing “network effect,” and that therefore the key imperative at any given point in time is to speed up your slowest gear. Morris: What are what you characterize as “the erratic results of high tech marketing”? Moore: When companies spend most of their marketing energy talking about themselves and their products, the results are erratic because, in most cases, nobody cares about either topic anywhere near as much as the company itself does. Effective marketing requires you to work backward from the audience and the audience’s interests and find the nearest point of intersection with your interests and messages. The Technology Adoption Life Cycle is one of a number of frameworks that allows you to segment audience by interest in technology, and that is why it has had such a big impact on high-tech marketing. Morris: In your opinion, insofar as companies involved in high-tech marketing during (let’s say) the next 3-5 years are concerned, what will be the single greatest challenge that their leaders will face? Any advice for them? Moore: Actually, I think there will be several. The whole move to a digital fabric for virtually all human culture has a direct impact on marketing. In particular, it makes it much more interactive than ever before, which means companies must negotiate, rather than simply dictate, their brand positioning. We are still figuring out how to do this reliably and at scale. The big takeaway from the first section of the book is that there is indeed a chasm between the early market, made up of technology enthusiasts and visionary customer sponsors, and the mainstream market, which is largely under the sway of pragmatists. The latter want clear indication of what problems the new technology solves, what a complete solution looks like in production, and what references are lined up to endorse it. The big takeaway from the second section is that, to accelerate the formation of a complete solution to a well-specified problem, requires you to adopt niche marketing techniques even though your product has broad horizontal application. These are indeed major challenges. I hope this Third Edition will help leaders to respond effectively to them. Really, that’s why I wrote it. Please explain the last two statements. Moore: In the 1990s we kicked off a decade of innovation by bolting the user-facing PC infrastructure onto the back office data center systems and calling the whole thing client-server computing. Now we have kicked off a new decade of innovation focused on bolting the user-facing consumer infrastructure (mobile, social) onto a revitalized back end (cloud, analytics), and that is going to have an equally transformative impact on enterprise productivity in every sector of the economy. The key to this new architecture is to get the users to buy in (that’s where the Four Gears and Eric’s The Lean Start-up come in) and get the ecosystem of enterprise IT product and service providers to make the necessary adjustments (that’s where Crossing the Chasm comes in). Marketing teams need to master both disciplines to get their customers to the finish line. Morris: Let’s say that a CEO has read and then (hopefully) re-read Chasm 3 and is now determined to establish or strengthen a workplace culture within which personal growth and professional development are most likely to thrive. Where to begin? Moore: The key to any culture is to make clear what the enterprise is in service to. For chasm crossing purposes, the focus is on solving one or more urgent problems for one or more classes of customer. In that context, people who can understand, analyze, and empathize with the customer problem are hugely valuable, as are people who can adapt general purpose technology to highly specific application requirements. You also need to be charismatic enough in your mission to attract a following of partners and allies to help round out the whole product solution. People who match up well with this spec tend to check their egos at the door and get fulfillment out of having a big impact on others in need. You can build a great culture around these values, as Hewlett and Packard demonstrated in the 1960s, 70s, and 80s. Morris: For more than 25 years, it has been my great pleasure as well as privilege to work closely with the owner/CEOs of hundreds of small companies, those with $20-million or less in annual sales. In your opinion, of all the material you provide in Chasm 3, which do you think will be of greatest value to leaders in small companies? Please explain. Moore: Crossing the Chasm can be especially valuable to companies of this size. They can put all of their energies into solving a single tough problem and grow their company at 30 to 100% a year for several years. (By contrast, big enterprises generally have trouble focusing on niches because they do not have sufficient impact on their bottom line.) The biggest challenge in a small company is to get everyone in the boat rowing in the same direction. Leaders in these companies can use this book as a framework to help get their teams in proper alignment. Please click here to read my first interview of him. Please click here to read my second interview of him.